Summer is the perfect time of the year to give your home a fresh, new look for the season. Starting your home renovations with practical upgrades will help create lasting value and impact on your home. Here are 10 budget-friendly fixes to enhance your home without breaking the bank. Adding crown or any basic trim to your walls will certainly add character to your home. Not to mention, these type of small details help significantly boost the value of your home. 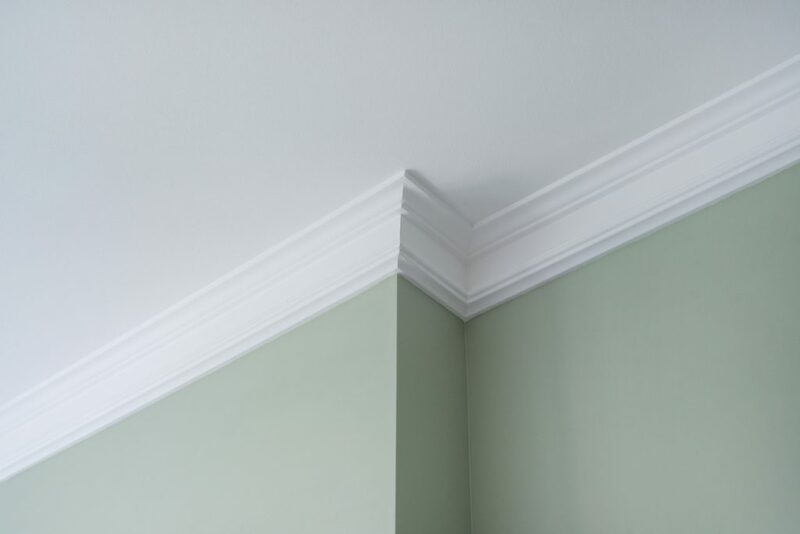 Follow this step by step guide from HGTV on how to properly install crown molding. Let’s face it, first impressions make a big difference. When it comes to your home, curb appeal matters! Enhance your home’s entryway with a new décor, plants, lighting and even repainting your front door. Find inspiration with these top 28 colors to paint a front door. Extend the life of your existing kitchen and bathroom fixtures for 10-15 years or even longer with surface refinishing! 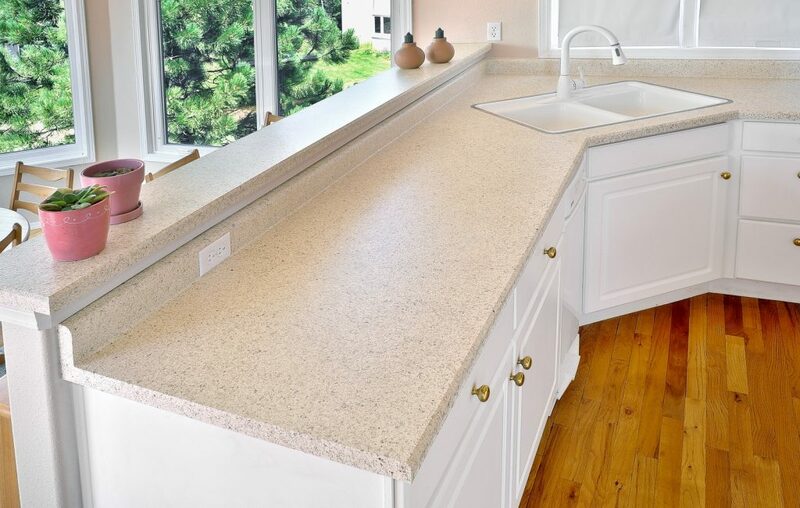 Surface refinishing is an affordable alternative to replacing outdated, damaged or simply discolored bathtubs, showers, countertops, vanities, and tile. The results are beautiful and homeowners can expect to save anywhere between 50-75% over the cost of replacement. Hardwood flooring has proven to be a timeless trend in the home remodeling industry. Homeowners not only love the stylish appearance but enjoy the long-lasting, durability hardwood flooring provides. As an added bonus for homeowners considering hardwood floors, it offers tremendous resale value. 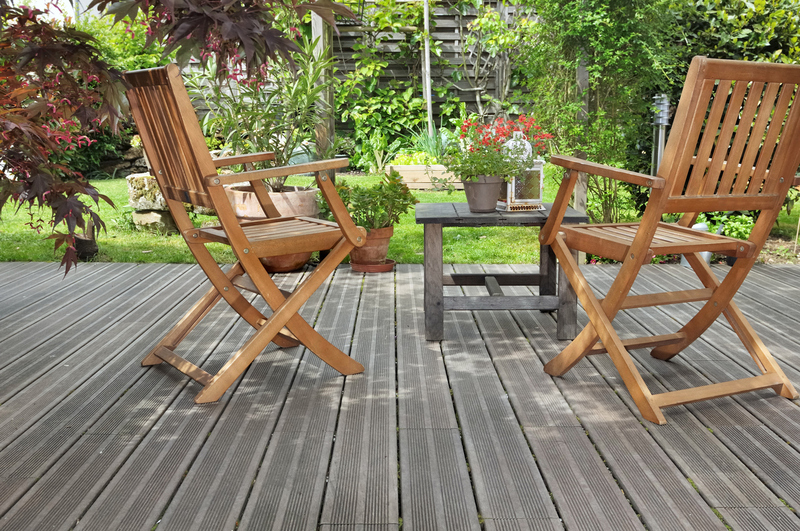 Adding a deck is a cost-friendly way to add space to your existing home without spending a fortune. To stay within a reasonable budget, aim for a deck space around 500-750 square feet. This will give you plenty of space for summer entertaining! When it comes to upgrading your home on a budget, lighting is always at the top of the list. Installing new lighting fixtures is a great way to modernize your home. With a variety of options, you’ll be sure to find the perfect light fixtures to suit your style and budget! 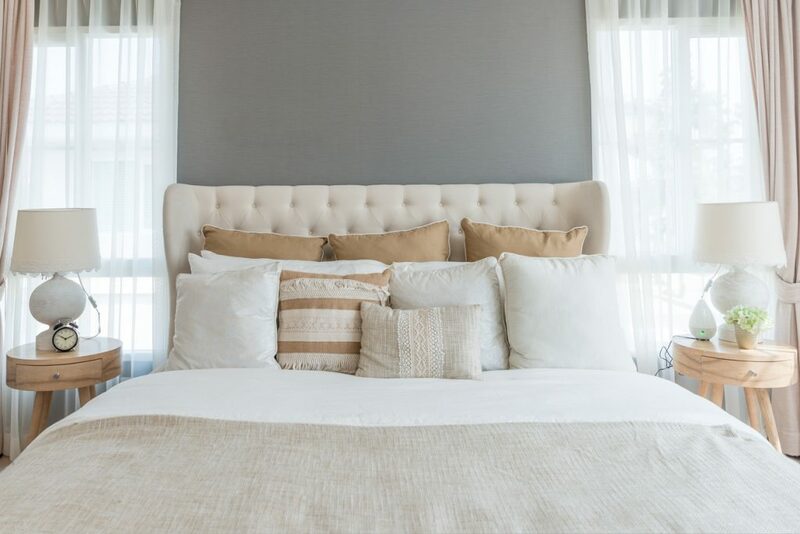 When was the last time you spruced up the master suite or guest bedroom with new bedding? Changing out bedding, duvet covers and linens is an easy way to update your home on a budget. Shop the latest styles in designer bedding sets, comforters and duvets right here. Painting interior walls is a quick and cheap way to upgrade your home. A fresh coat of paint can go a long way in bringing a whole new look and feel to your home. Check out this step by step painting guide. Sliding barn doors are a popular trend emerging from the modern farmhouse style. Incorporating barn doors into your home is a unique statement piece that you’ll be sure to love for many years to come. Check out some of our favorite looks right here. Giving yourself a little extra room in your home doesn’t have to be expensive. Shelving, storage, neutral paint and lighting fixtures are all affordable ways to create more space in smaller living areas. Get more ideas for creating space here! 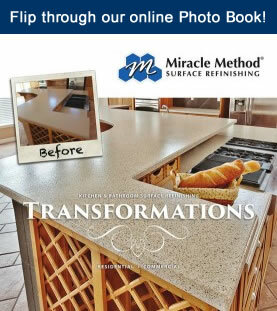 If you’re looking to save and money on your next home remodeling project, call Miracle Method Surface Refinishing at 855-212-7337 or find a location near you!